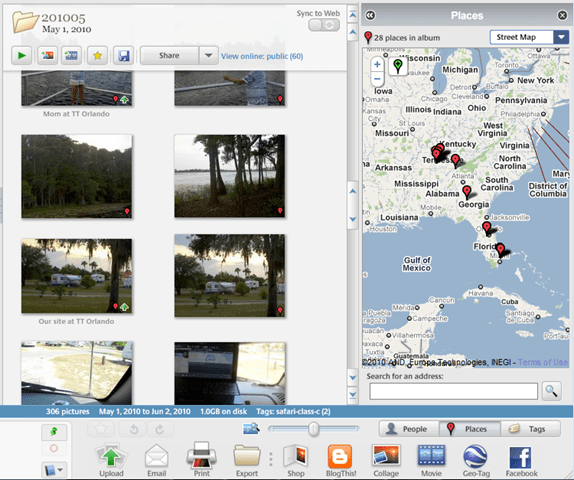 First, just what is geotagging? It’s attaching the latitude and longitude coordinates to a picture, a .jpg file, so it can be placed on a map in the location where it was taken. When a photo is geotagged, these coordinates are part of the ‘metadata’ embedded in the file itself, just like the date and time where it was taken. 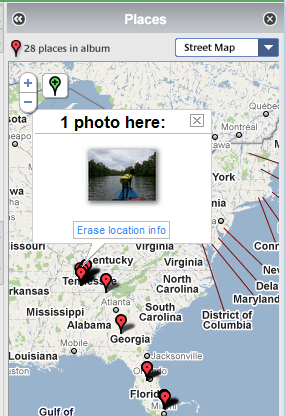 In previous articles I’ve written about how you can manually geotag a photo. They’ve, made it pretty easy, but it’s still something that takes a bit of time and thought. For me, I’m just too lazy to make the effort. But, if it can be done automatically, now that’s a different story! I’d love to be able to see all my travel pictures pinned to the spot on the map where they were taken. And now I can, as long as I take the picture with my Droid cell phone. Published by MrsGeek, in Blog. Tagged with Auto-Geotagging, Geotagging, Motorola Droid. As you would probably guess, the iPhone has geotaged it’s photos by default since the introduction of the GPS on the 3G model. These tags can of course be read by Picasa or iLife as well as Aperture and the latest version of Lightroom (3). I am not sure why this feature is not on by default in the Droid – I cannot think of a reason not to have it on. I have also been using a Eye-Fi SDHD card (http://www.eye.fi/) in my camera which automatically adds geotagging info via wifi while in use. This has some limitations, but is reasonably priced option for cameras without built-in geotagging. Sony has a new point and shoot that is the first camera with a built in (as opposed to an accessory) GPS for geotagging. I think that this is destine to become the next must have feature in digital cameras. The iPhone also has an App for creating geotag tracks which can be used to update photos that were taken without geotags. Now someone is going to ask,”who needs geotagging?”. Only us geeks today, tomorrow, everyone.